There’s nothing quite like a nice, warm pot pie on a chilly fall night. Are you worried it’s too much of an undertaking to make one for yourself? 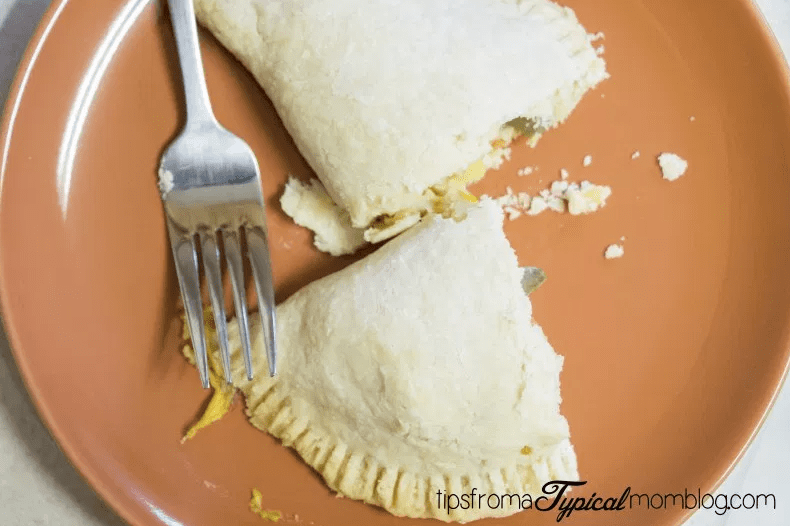 You have to try these Chicken Pot Pie Hot Pockets, which are not only adorable but are also packed with flavor and great for kids and adults alike. In little more than 30 minutes, you can have flaky pie crusts stuffed with chicken and veggies, all rolled up into one portable hot pocket. But unlike those hot pockets in your freezer, these don’t require time in the microwave. Instead, they’re made from scratch, crust and all! Considering how simple these homemade meals are to make, you’ll want to add them to your weekly dinner rotation while the cold season lasts. The recipe from the Tips from a Typical Mom blog walks you through the steps to creating your own dough for the crust, using just flour, sugar, salt butter and water. Once you’ve got that made, all that’s left to do is fill each individual pie with a mixture of chicken, veggies and cream of chicken soup. Then bake for 30 minutes and devour! It’s as simple as that! Copy Me That suggests skipping a step to make this recipe even easier. If you don’t have time to whip up a crust from scratch, a store-bought pie crust will work just fine, too. Good to know that pie crust you’ve had in the freezer won’t go to waste! 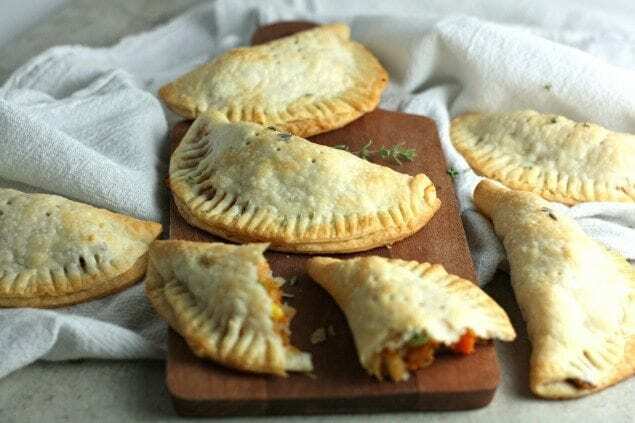 And if you like the idea of serving some of your favorite dishes in individual hand pies, you’re in for a treat because there are plenty of meals that can be served up in the form of homemade hot pockets. Below are options covering every meal from breakfast to dessert. If you haven’t been eating every meal in the form of a hot pocket — you’ve obviously been missing out. Can you think of anything better than tender brisket and fresh veggies inside of a buttery, flaky crust? Once you’ve tried this recipe from Honest Cooking, dinner will never be the same again! 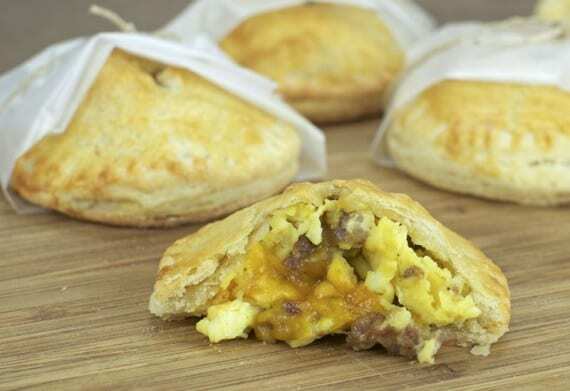 You can take that breakfast to go with these portable sausage, egg and cheese hand pies. You can prepare these the night before and then just heat them up in the morning! Get the full recipe on the Mr. Breakfast website. 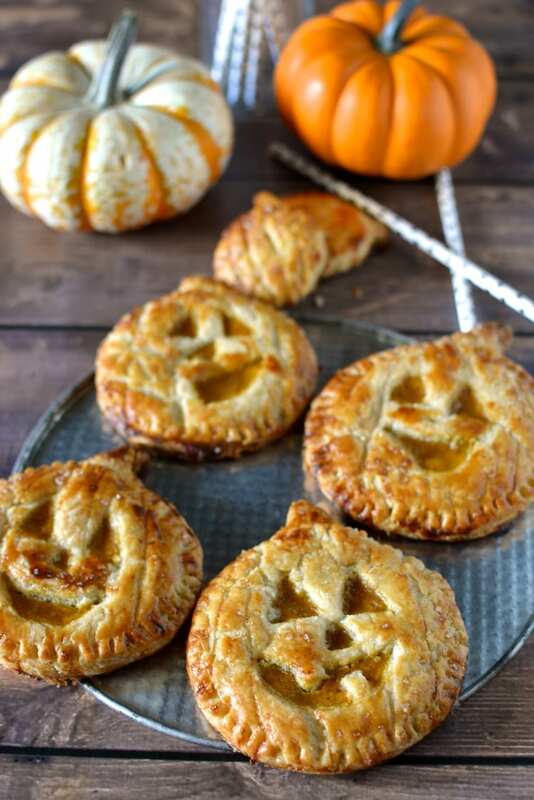 To mix things up at the dessert table this year, why not make these cute Jack-O-Lantern Pumpkin Pies. They’re absolutely adorable and practically bite-sized, so what’s not to love? The Sprinkled With Jules blog walks you through how to make these from scratch, jack-o-lantern designs and all! Who’s ready to eat all of their food in the form of pies from now on?